Got beginner piano playing questions? Here you can get in contact with me directly with any piano playing trouble you might have, read what others have asked or leave your comments. How to Sit at the Piano? Ask your Question Here! I really enjoy helping you out with piano playing problems! This I will do by answering your piano questions personally and in detail. 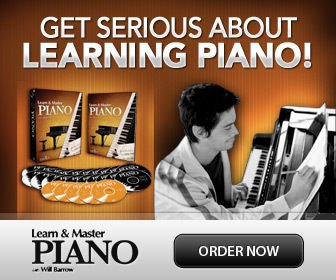 Do you have questions about learning and practicing the piano? Perhaps you need help with a specific technical problem, or have questions or comments in general about how to play the piano? Click here to ask your question about piano playing! I will answer all reasonable inquiries. Piano questions and comments that are selected to be answered, and that I feel would be valuable to others, will be converted to a Web Page, so that others can benefit from your questions as well as my personal answers. Click here to go directly to see what other visitors have asked or commented. If English is not your "forte" - don't worry! I will do a basic spell check before it gets published. But, your questions are helpful to me as well... By letting me know what is important to you, I get more ideas on what to write about on the site! If you feel my answer to you or anyone else, or something on the site has helped you in any way- please do let me know! You can use the comments for that particular question, or the contact form here. Hi l play piano for 10 years and now l want to change my piano and l want to choose piano between GB1k and U1 could you please help me? How to play this measure? whether chords could be played in single or two fingers? How to memorise scales, sharps, flats and theory? How can I publish sheet music? What would you include in a structured piano lesson as well as practice sessions? What's Your Piano Playing Story? Share it Here! Have an Inspiring Quote About Piano Playing? Share it!